As with previous cases, the true purpose of the lawsuits is not to start a full trial, but to obtain the personal details of the customers who are linked to the “infringing” IP-addresses. A classic pay-up-or-else scheme, or exploiting the legal system for commercial gain as others have described the process. There is no doubt that involvement in this type of lawsuit will lead to the creation of a negative image for the studio among the general public, but on the flip side the revenue potential is enormous. If 80 percent of all defendants pay a $2,000 settlement, the plaintiffs would earn more than $10 million, which equals 10% of the total box office grosses in the US. And there is potential for even more revenue. 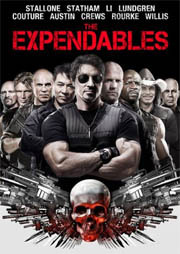 Even today, five months after a high quality copy of The Expendables became available on BitTorrent, the movie is still being downloaded by a few thousand people every day. This means that there’s enough potential to sue tens of thousands additional BitTorrent users in the future, if the courts permit it of course. The latter is a question that is likely to be answered in the months to come. Already, law firms involved in these mass lawsuits are meeting resistance from consumer rights organisations and judges. With more cases being entered month after month, the pressure on the legal system is increasing at a rapid rate too. In the UK, where these pay-up-or-else practices began back in 2007, legal setbacks, incompetence and pressure from the public eventually led to the fall of the most prominent anti-piracy law firms ACS:Law. With the spotlight now on the US, Dunlap, Grubb & Weaver and the other law firms that are involved better brace themselves. BitTorrent users who receive a subpoena are advised to contact a legal representative, the EFF has some good advice to start with.